Despite his gentle butterfly tattoo and a career built on singing sweetly about love, Maroon 5's Adam Levine is not to be fucked with. This is something we must all remember, especially as his power swells in the wake of last night’s Super Bowl Halftime Show. 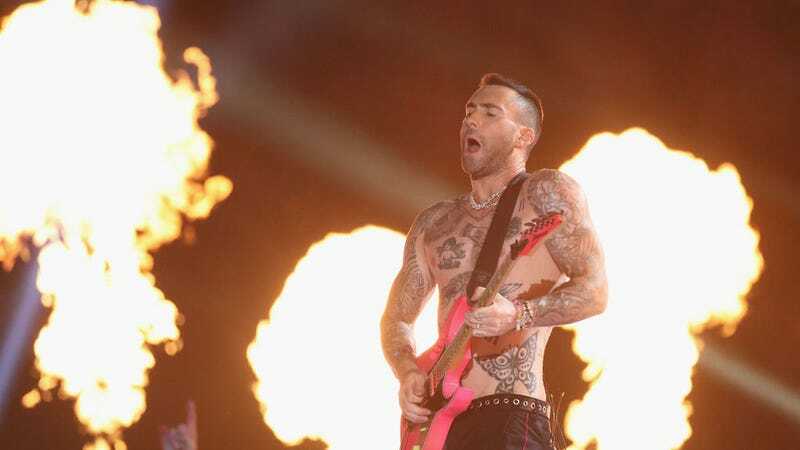 Writer Rob Tannenbaum, running with the opportunity presented to him during the grim spectacle of a Maroon 5 medley, presented a cautionary tale sure to chill all of us to our bones. It began with a simple joke, which quickly unraveled into something much more compelling: the story of how Levine played a role in getting him fired from Rolling Stone. Tannenbaum was a contributing editor at the magazine in 2014, when, in an effort to get a fun, endearing interview out of Levine, he asked if the singer would apologize for how easily “Moves Like Jagger” gets stuck in listeners’ heads, which yielded a light, jokey answer. So far, so good. That’s all just backtracking, though. While it’s no doubt important to write the piece your editor requests, rather than, say, subtly shift its focus toward more interesting things—like an aside about the casual brilliance of the music video for Mr Oizo’s “Flat Beat,”—we cannot dismiss the possibility that Tannenbaum is just covering his back to avoid further retribution. He has reason to fear, after all. Perhaps we all do. If Tennenbaum’s story proves anything, it’s that Levine, the mafia boss of boomer-friendly soft rock, holds all our fates in his hands. We must tread carefully.